Now What! : President Trump fires acting Attorney General for "Betrayal"
President Trump fires acting Attorney General for "Betrayal"
It's either you are on board or you are kicked out!!! So it seems. 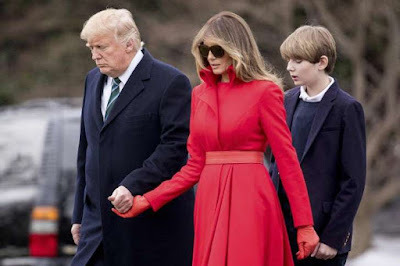 President Trump who has taken a firm stand to guard his executive order is not here for anyone who criticize his actions especially, from within government administrations. 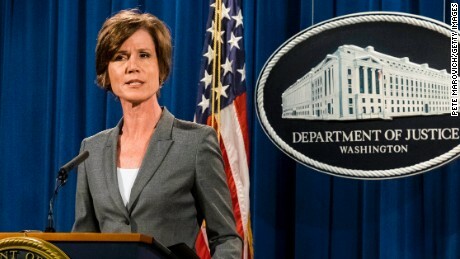 On Monday January 29, President Trump fired US Attorney General Sally Yates in a hand delivery lettered for""refusing to enforce a legal order designed to protect the citizens of the United States," according to White House reports. She has betrayed the Department of Justice'', say the statement from White House. She has since been replaced by US attorney, Dana Boente, of the Eastern District Virginia. Yates, reportedly told Justice Department lawyers not to make legal arguments defending President Trump's ban immigration and refugees.